BETTER THAN CRUTCHES or KNEE SCOOTERS - iWALK2.0 is a safe, stable, pain free, hands free, economical crutch alternative. 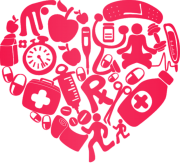 It give you back your functional lifestyle because your hands and arms are free. One size fits from 4'10" - 6'6" - see important restrictions on size chart (see images) Converts for left or right leg. No tools required. Quick release straps for quick on / off. CAN YOU USE IT? - Before your injury could you go up or down stairs without needing a hand rail? If yes, you have all the physical qualifications you need, but check below in the Product Description for REQUIREMENTS AND QUALIFICATIONS. So what are you waiting for? 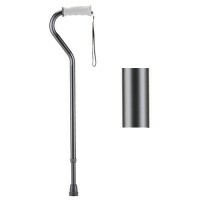 Stop crutching and start iWALKing today! 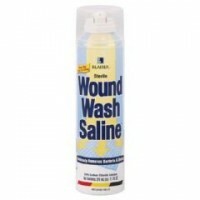 Includes easy to follow do-it-yourself video instructions for assembly, fitting and use. PDF instructions are also available. IMPORTANT: PROPER FITTING IS ESSENTIAL! 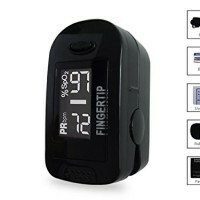 It is essential that every person who is considering using this product review all information and the educational tools provided. Failure to do this can result in the device not functioning correctly, fitting improperly or injury. Please review the sizing diagram (included in the images) for leg length requirements and limits. Review all educational materials BEFORE attempting use. 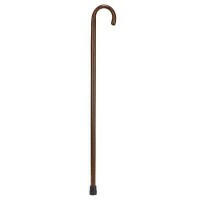 502-1356-6000 Color: Mahogany Pictured in Mahogany Features: -Cane.-Strong, stained and sealed wood.-Can be cut to desired user height.-Standard handle style.-Reinforced metal slip-resistant rubber tip. Options: -Available in mahogany and walnut colors. Extreme lightweight: Anodized aluminum body provides maximum safety and endurance while remaining lightweight. 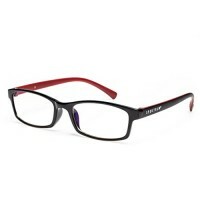 Easily folded for convenient storage and extended to locking position. Height adjustments in 1 inch increment from 33 inch to 37 inch. Fit 3/4 inch shaft cane tip. Compression to help driving blood back from feet to heart. 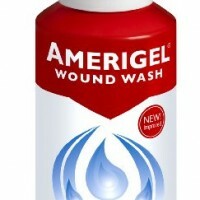 Hand wash with neutral detergent,to avoid deformation. 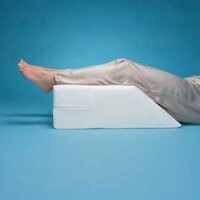 Achieve the goal of reducing swollen legs and promote blood flow. Ideal Hot/Cold Therapy for the Spine, Back, and Stomach area- Use for Relieving Pain and Discomfort as well as Promoting Body Relaxation! Simply Heat in the Microwave for Heat Therapy or Chill in the Freezer for Cold Therapy. 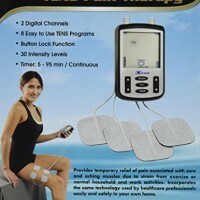 Target Sore Muscles, Achy Joints, Injuries, Arthritis, Tendonitis, Stress, Tension, and the list goes on. 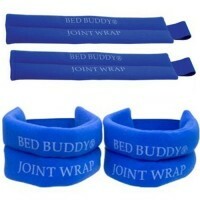 Also, use it to keep Warm and Cozy during a Cold Winter or stay Cool during a Hot Summer. 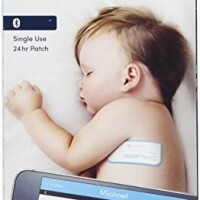 The pack has Five Channels to Evenly Distribute the Heat and two Elastic Velcro Straps (fits all) to wrap to the body and remain active while the pack is working. 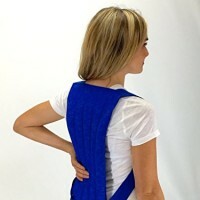 Wrap around your neck, shoulders, or other parts of the body for a rejuvinating, refreshing, and relieving effect for sore and tense muscles, stress, pain and discomfort, arthritis, tendonitis, and more. 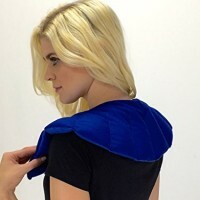 Simply heat in microwave for Heat Therapy or chill in freezer for Cold Therapy Handmade product- Soft fleece fabric on one side and cotton fabric on the other side. 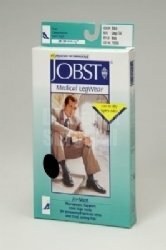 GRADUATED COMPRESSION SOCKS - Increases circulation and blood flow up the leg, 20-30mmHg is the Best Compression because its strongest at the ankle and decreasing up the leg over the calf below the knee. Number 1 recommended by Doctors! ULTRA COMFORTABLE - Padded Footbed featuring arch support (Plantar Fasciitis help) to provide a comfortable fit in any shoes, perfect for DAILY wear, and/or Sports muscle recovery and Shin splints. 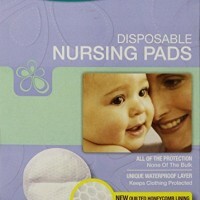 EASY CARE - UNISEX - Machine Washable! Keep them fresh by washing in the machine, and hang to dry. Made of 50% Nylon, 40% Polyester, and 10% Spandex. One Size Fits Most! PROTECT YOUR EYES - High Energy Blue Light emitted by electronic devices (such as computers, TV, smartphones) have shown to increase the risk of vision conditions from sore dry eyes to macular degeneration. 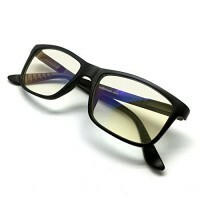 Maintain healthy eyes by reducing exposure to high energy blue light. IMPROVE PERFORMANCE AND PRODUCTIVITY - Extended exposure to blue light rays may cause fatigue and stress. Filtering out the High Energy Blue Light allows you to focus on your game or task at hand. BLOCKS 90% OF HIGH ENERGY BLUE LIGHT - J+S Vision Blue Light Shield protects your eyes by filtering out 90% of High Energy Blue Light rays while letting through the less harmful low energy blue light. 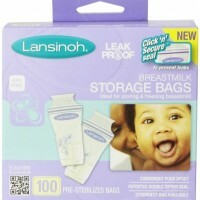 Safe for collection, feeding, refrigeration, and/or freezing of breastmilk. 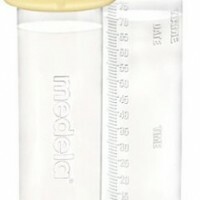 Compatible with all Medela breastpumps for pumping directly into the container. 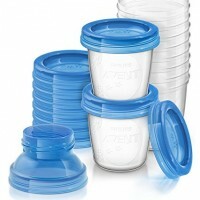 Bulk pack of 12 containers for easy storage in freezer or fridge. 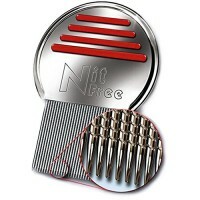 Lice Lifters Nit Removal Comb-professional Microgroved Steel Louse and Nit Comb for Head Lice Treatment, Removes Nits. 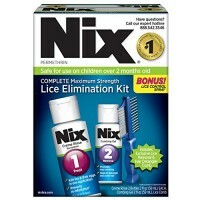 Best Results If Used with Lice Lifters Lice Treatment Solution and Lice Lifters Nit Removal Mousse. Head Lice Will Be Killed in Minutes. Head Lice Treatment Is Quick and Easy. 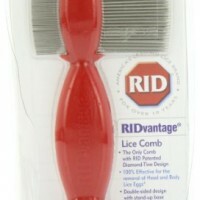 This Is the Best Head Lice Treatment for the Whole Family. Natural alternative to RID. Natural choice to NIX. All-Natural selection to Lice MD. Best Choice instead of Fairy Tales. 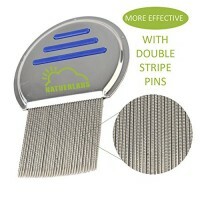 Metal Nit & Lice Comb – Safely & Easily Removes Nits & Head Lice with 33 Double Stripe Pins – More Effective Louse Removal Than Single Stripe Combs. 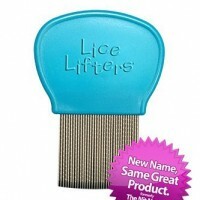 The Best Head Lice Treatment on the Market! 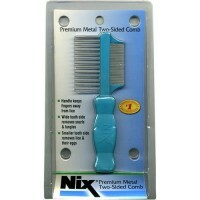 LiceLogic endorses our number one rated head lice removal comb Stainless steel, durable, and reusable, this is the most effective comb to use for lice and nit removal Patented micro grooving teeth that grip the hair from root to tip to help ensure that even the smallest nits are removed. 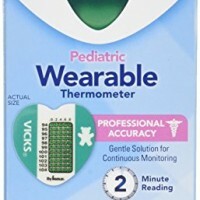 INDIVIDUALLY TESTED FOR ACCURACY: Each device undergoes rigorous testing and is approved for use by the FDA. QUICK READING: Incredibly easy to use. 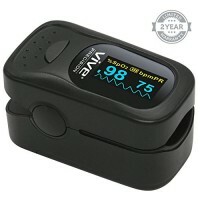 Simply turn on the device, place your finger within it, and have your pulse rate and SpO2 instantly displayed. 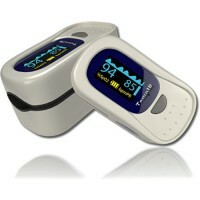 ALARM FUNCTIONALITY: Detects and alerts you of irregular heartbeats and low oxygen saturation levels. One button flips display 180 degrees. Easy and Efficient One Button Operation, Auto power-off after 8 Seconds. Adjustable brightness. 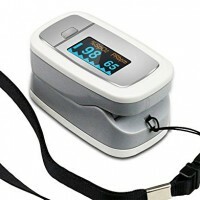 Measure your oxygen, pulse and pulse strength. Over 30 hours of continuous use on 2 AAA batteries (included). Fast, accurate measurements of SpO2 and pulse. Pediatric to adult finger sizes. 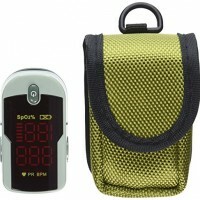 Measure and monitor your pulse, pulse strength and blood oxygen level (SpO2). Show the reading in numbers as well as the waveforms (plethysmograph) and bar graph to give visual indication of the irregular, weak heartbeat or incorrect reading. *** Our Guarantee - We are so confident about the quality of product that we offer the Lifetime Hassle free PRODUCT REPLACEMENT Guarantee for this product. *** Luxury Dual-Color OLED 4 directions displays with Waveforms (plethysmograph) and Bar Graph to see the result from any direction easily. One button touch for setting and last display mode saved after power off. Easy and Convenient One Button Operation, Auto power-off after 5 Seconds. Adjustable brightness for both indoor and outdoor environment. 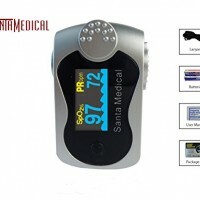 **SPECIAL PRICE and RISK FREE LIFETIME GUARANTEE** TempIR™ Finger Pulse Oximeter the original Quality Brand*. Built to last. Developed to be accurate. *CE and FDA Approved*. 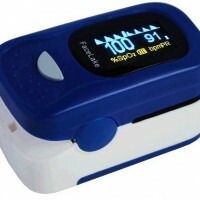 Accurately measure BLOOD OXYGEN SATURATION LEVELS known as SPO2 and PULSE RATE in 10 seconds in REAL TIME. 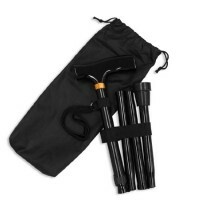 PORTABLE, ROBUST and COST EFFECTIVE: Small and lightweight to carry. 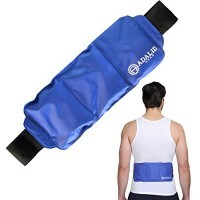 High density ABS plastic construction with protective pouch and lanyard for wrist or neck. Free batteries 2 x AAA last for 1,000s readings. Auto power off saves battery life. EASY TO USE: Simple operating instructions. One-Button touch for setting. Online instruction videos on our website and LIVE CHAT. Large COLOR OLED display. Auditory alarm for high and low readings. Low battery indicator. 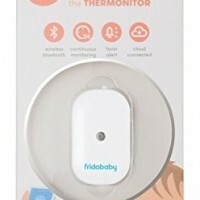 Continuous temp checks every 4 seconds while baby sleeps soundly Low energy smart bluetooth technology. 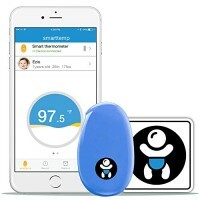 Cloud connected to monitor baby's temperature from anywhere in the world. 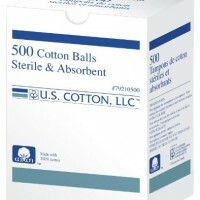 Made of latex- and BPA-free dental-grade materials that are highly hygienic. Moldable design provides a comfortable, custom fit that conforms to your mouth's shape. 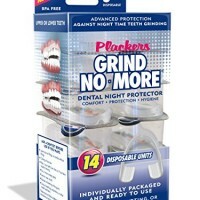 Helps stop teeth grinding, snoring, and reduces bruxism, TMJ pain, and teeth wear. 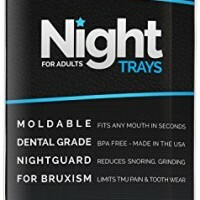 Silent Sleep Teeth Mouth Guard – Stop Teeth Grinding and Clenching – Best Teeth Grinding Solution on the Market 100% Satisfaction Guaranteed! MULTI-USE FUNCTIONALITY SAVES YOU MONEY: This 3-in-1 mouth guard protects your teeth in many ways - Wear during sleep as a night guard - Protects your Teeth while playing sports - Teeth Protector can also be used with Whitening Gel Kits to whiten your smile - Save Money and Stop Buying Teeth Grinders that dont work, Order TODAY! 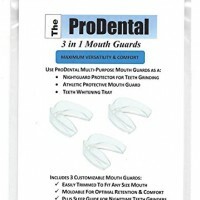 DENTIST APPROVED DESIGN: Dental Guard is Safe to use if you have Veneers, Braces, Permanent Dentures, or Have a Retainer - One size fits all for a wide variety of teeth alignments, tooth sizes & mouth shapes for the perfect optimal comfort- Covers both Upper and Lower Teeth - Boil in Water and Bite Down to get a Precise Perfect fit - BPA FREE! REMOLDABLE TO FIT ANYONE: Our Durable Mouthpiece is re moldable to ensure a precise fit for guaranteed retention and comfort - Best Fitting Teeth Guard is of High Quality and Built to Out Last other Competing Night Guards - FDA Approved- Slumber Effects has the most durable design makes this the most cost effective teeth grinding solution on the market - Try it out, you won't regret it!